Welcome! You have reached the homepage for the laboratory of Dr. Bryan Heit.  Our lab is part of the Department of Microbiology and Immunology at Western University, and we are members of the Center for Human Immunology, the lead centre for the CIHR Human Immunology Network. Our interests surround the function of phagocytes – white blood cells which ingest (phagocytose) pathogens, particles, and dead cells. We focus on the cellular and molecular processes which control the function of these cells during the maintenance of homeostasis, infection and chronic inflammatory disease. Central to most of our studies is the study of efferoctyosis – the phagocytic removal of apoptotic (dying) cells, and how failures in this process lead to inflammation, autoimmunity and infection. Phagocytes are a class of white blood cells which have the capacity to engulf large particles such as bacterial and fungal pathogens, and subsequently destroy the engulfed material. The term phagocyte literally translates to “cell that eats”, which is an apt description of the primary function of these cells in our bodies. While there are many types of phagocytes, the Heit lab focuses primarily on macrophages, which play key roles in both maintaining our bodies and in fighting infections. We use a combination of advanced microscopy techniques, gene expression analysis and functional assays to investigate the activity of macrophages. Some examples of the methods we employ can be found on our YouTube channel. The Heit lab is looking for two individuals to pursue our recently funded CIHR project. 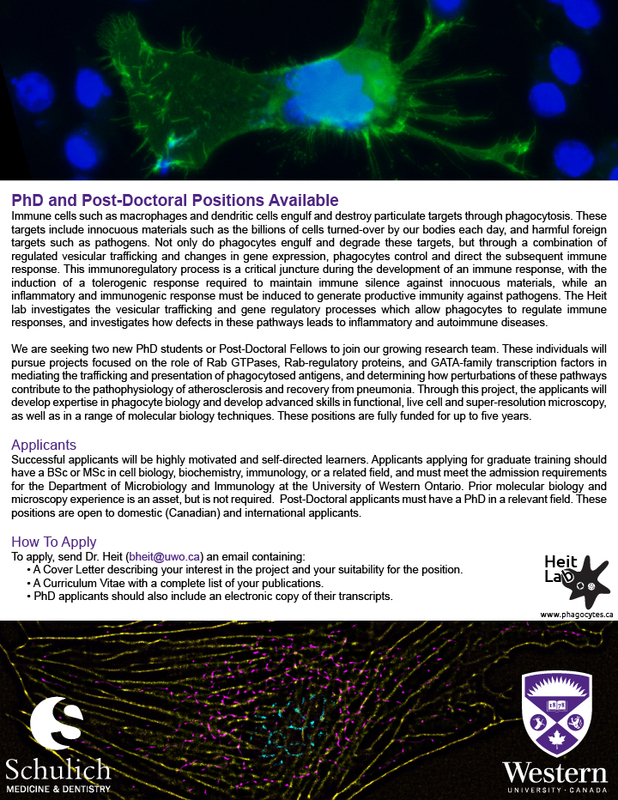 Positions are available for both graduate students (MSc or PhD students) and for post-doctoral fellows. Additional details can be found in the attached ad. We would like to thank NVIDIA and their GPU Grant Program for awarding the Heit lab a free GPU for our computational work. This program furnishes academic labs with free GPU’s, for use in developing new analytical frameworks and to enable data analysis. This NVIDIA GPU will allow the Heit lab to continue our development of the next generation of image analysis routines, building upon or MIiSR and SPT frameworks. In addition, this GPU will increase our capacity to engage in SRRF super-resolution imaging. Programs such as these are critical for the on-going development of new image analysis methods, and to ensure that all labs can utilise leading-edge computational technologies. We at the Heit lab are looking forward to receiving this GPU and for the work it will enable in our lab.